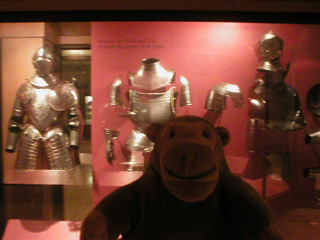 "It's a fine collection of pointy things and protective metal"
Mr Monkey scampered around the arms and armour gallery, looking at part of the largest collection of weapons and armour in Canada. They've got all sorts of things from the Bronze Age to the First World War. 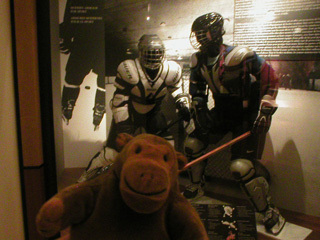 They've also got modern ice hockey equipment, but Mr Monkey thinks it's pushing it a little to describe that as arms and armour.